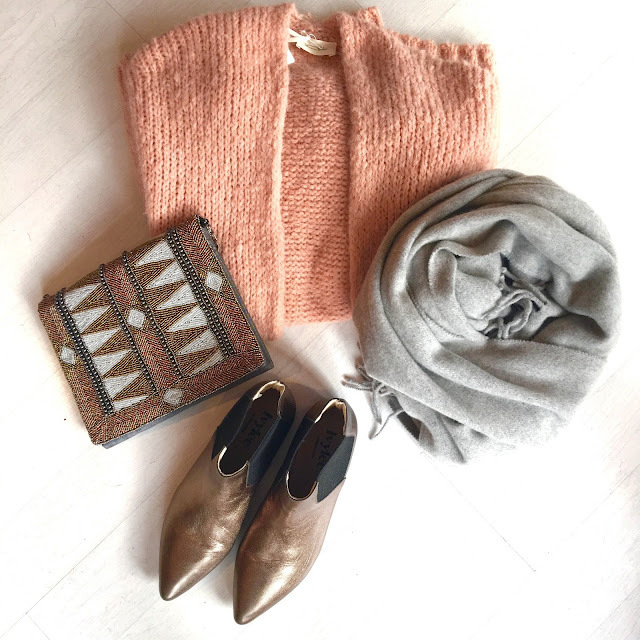 This is one of the outfits I styled for one of my favourite boutiques, Quattro Rish in Reigate, if you happen to live in the area pop in, owner Ivy has an amazing eye for cool Scandi brands and beautiful French tailoring. The prices are varied and there are always so many items that inspire me, I always leave clutching a Quattro Rish bag with something I know I will wear non-stop. You can mail order via phone 01737 235468. I love finding beautiful independent boutiques that have new exciting brands, I find mixing and matching with high street staples like Zara and Topshop creates a balanced and interesting wardrobe and reignites my love of fashion.. However, now to shift my mind to Christmas presents, it is 1st November tomorrow and I have not started my Christmas shopping..not.one.thing..*mild panic* and as I am from a big family there are a lot of people to buy for as well as my two little ones..so I hope to get my Christmas gift thinking cap on and write a few Gift blog posts..anything exciting, gorgeous you have found in your shopping travels I would love love to hear about! Thank you so much to Quattro Rish for collaborating with me on this little styling project, I loved it! You look lovely! I find tonal colours the easiest way to wear colours. I love the mixture of textures, too. I'm a real fan of soft berry shades (like your lovely hat) or seagreens this time of year, great to mix with neutrals. Love the boots - very jealous that you're getting those! How rock chick are those? Super boots, comfy yet I'm loving the slightly rocky style of them.